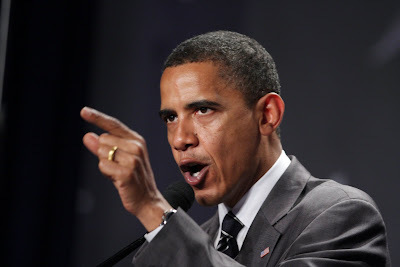 CRIME, GUNS, AND VIDEOTAPE: Obama Threatens Grandma! Washington, DC—Barack Obama and his Merry Marxist Czar Cabinet forgot they lost the House of Representatives in the last election. They also forgot that phony campaign promise that taxes would not be increased a single dime for Americans. Does Obama threaten the illegal aliens that they will be cut off from any government benefits? Does he suggest that the assets of PBS and NPR be placed on the auction block and threaten the Left with an end to their taxpayer provided Socialist propaganda? Does he dare suggest that all funding to ACORN, Planned Parenthood and other questionable or optional organizations be slashed? Does he suggest ending the misguided and failed Drug War? Does he shut down the BATFE after decades of abuse like the WACO Massacre and now the arming of Mexican drug cartels and the MS-13 gang of Central America with thousands of deadly firearms now being used to murder Americans? Why no, Obama tells America’s grandparents that they won’t be getting their hard earned Social Security checks. Obama wants to play the terror and extortion game. This pathetic piece of Socialist garbage must be removed from our Whitehouse at once. I talked to liars for a living for almost 30 years and this guy is full of it. He's the President of malcontents and ne'er-do-wells. I cut and pasted the article to put on facebook and it wouldn't post!!!! I tried a 2nd. Time editing out Obama's name and using the prez. I also took out the last sentence about the piece of garbage and still facebook wouldn't post it. F--ing cowards at facebook! let's start with his africa Auntie living in Boston public housing - there's aa start. A worthless frigging african woman who came to this country to live in public housing? Don't even get me started on the north african cab drivers that bring so much to our great nation. We're done. DONE!